CPUBalance v1.0 has been released. CPUBalance represents a subset of Process Lasso, specifically it’s famously effective and demonstrable ProBalance function, users who want ONLY that feature may want to install this even smaller rendition of the algorithm. 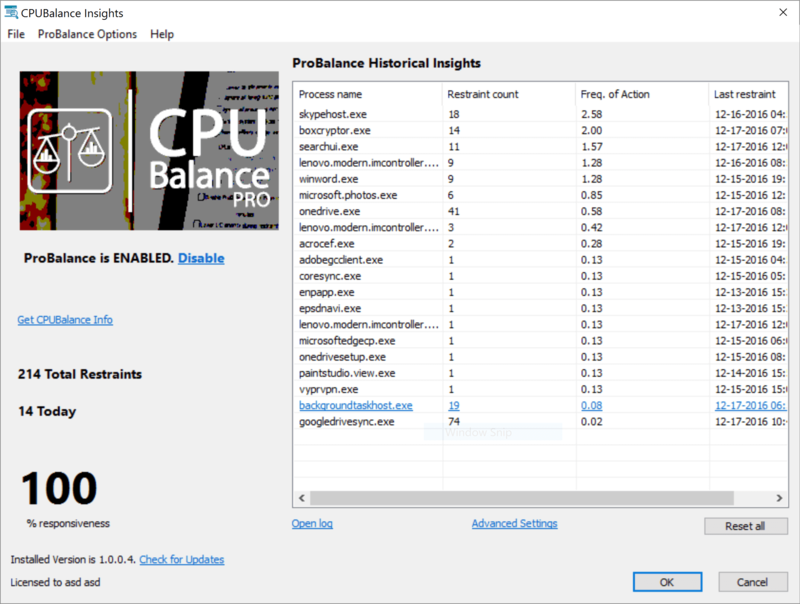 However, CPUBalance also shares a Governor (silent core engine) with Process Lasso, so Process Lasso v8 users may wish to get the latest and greatest ProBalance and other options. It adds no real additional overhead to Process Lasso, given this shared Governor. So if both Process Lasso and CPUBalance are installed, which governor is used? The newer one is used. That is the quick answer. Note that this product is made for the general consumer. Hard-core techies and Server Admins should stick to the big boy toy of Process Lasso, whose version 9 is coming up next! Thanks to all who helped in our testing phase! To users who now install and use CPUBalance, give us your feedback below or in our Community Forum.